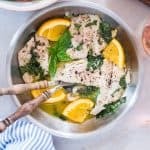 This 30 Min Bhetki Fish in Citrus Basil Butter Sauce recipe is sponsored by our friends at Big Banyan who make some of the best wines in India. Denver and I are particularly fond of their Merlot, a bottle of which is usually cooling in the fridge on most evenings. I don’t play favourites with the recipes on this blog, but this 30 minute bhetki fish in citrus basil butter sauce is seriously turning into one. We’ve already made this recipe four times in the last two weeks and I’m still not tired of it. It’s the most delicious, flaky, buttery fish in a remarkably simple but extremely flavourful sauce. Most days we don’t have too much time to put together a fancy dinner. We are usually eating leftovers or doing quick stir frys for dinner. But dinner is also when we both slow down a bit to spend time with each other and catch up on the day. Denver loves pouring both of us a glass of wine and he usually puts on some music too. We end up popping our heads in the refrigerator to see what we can whip up for dinner. When Big Banyan Premium Wines asked me to share a few easy, 30 minute recipes with you, this was the first one that came to mind. Who would think that a few ingredients, a 10 minute prep and less than 15 minutes of cooking can turn into a dish which is stellar to look at, easily gourmet fare when it comes to entertaining guests and simply delicious. This recipe really reminds of that scene from Julie and Julia when Julia Child first moves to France and is served fish at a restaurant. The fish is cooked in a butter sauce and just melts in her mouth when she bites into it. That scene was probably a subconscious inspiration behind this recipe, because that’s exactly what happens in this recipe. Cooked in a beautiful butter citrus and basil sauce, the bhetki soaks up most of that buttery goodness, leaving you with something that dissolves into your mouth as soon as you take a bite. 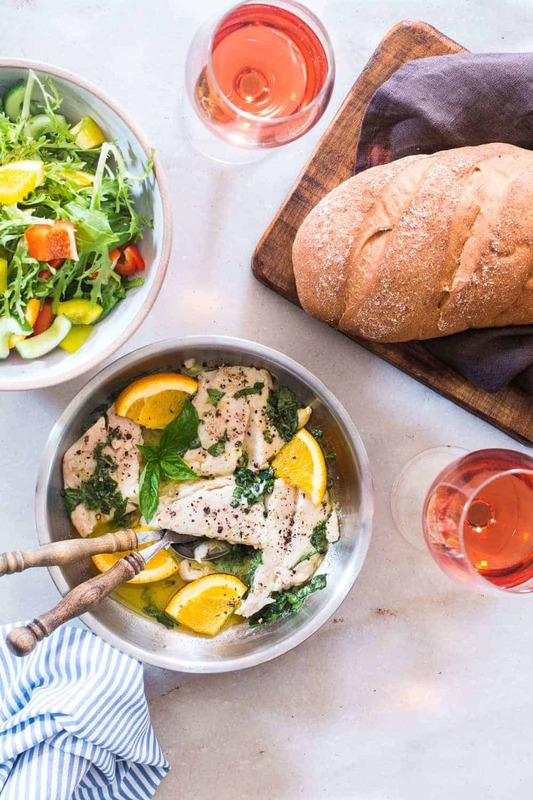 We like to turn this simple meal into a romantic dinner for two with a big green salad, a few slices of crusty bread and a glass of Big Banyan’s Rosa Rossa. 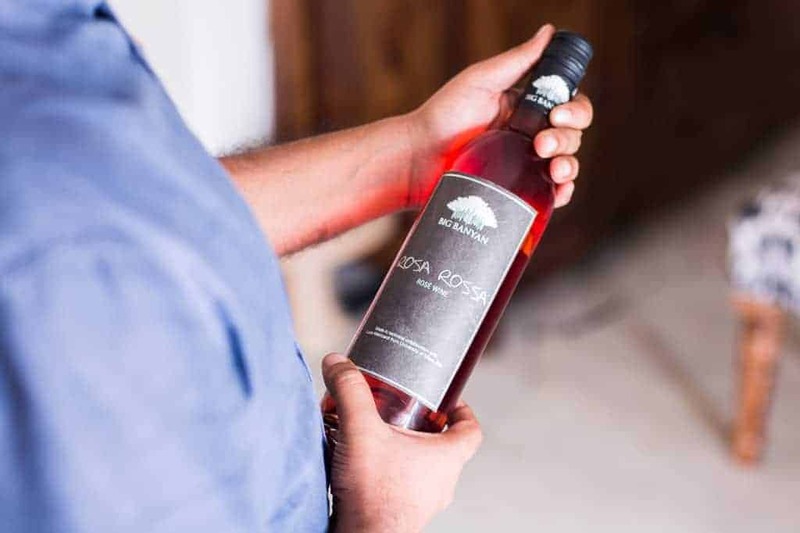 The Rosa Rossa has notes of berries in every sip, a hint of acidity and is easy on the palate. 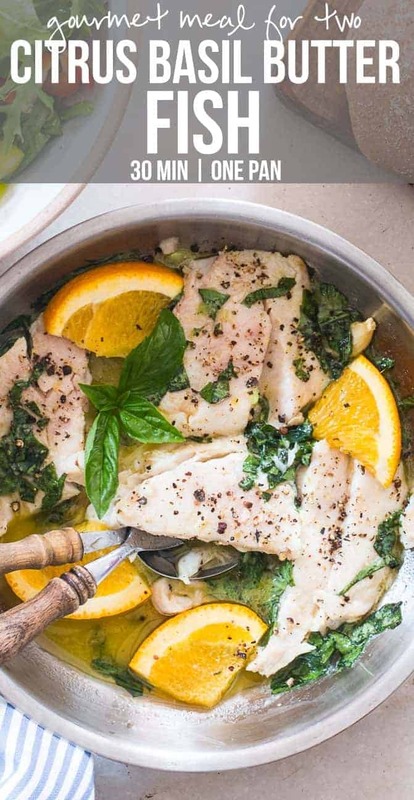 For this citrus flavored fish, the mild fruity tones are a perfect pairing. I also love the gorgeous colour of this wine, which is also perfect for a brunch Sangria if you are ever in the mood for that. 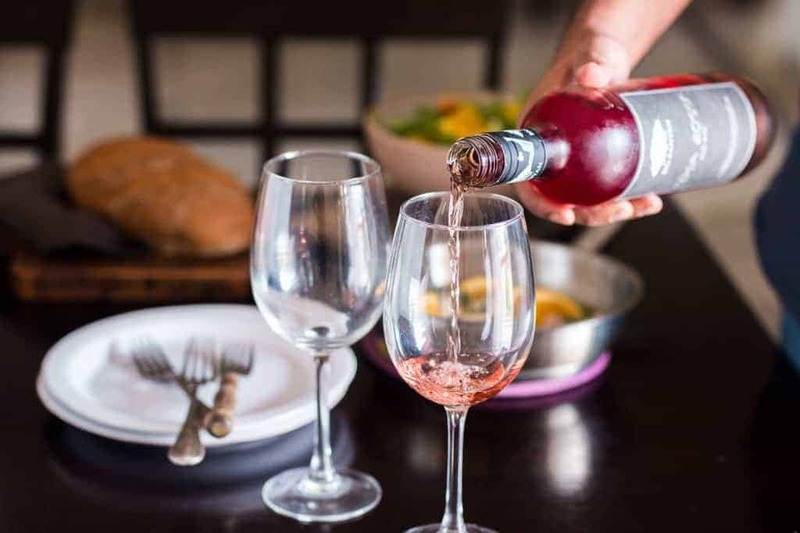 Next time you are looking for some dinner inspiration to turn a simple evening into a romantic one, try this recipe, and don’t forget to pour yourself a glass of wine while you cook! 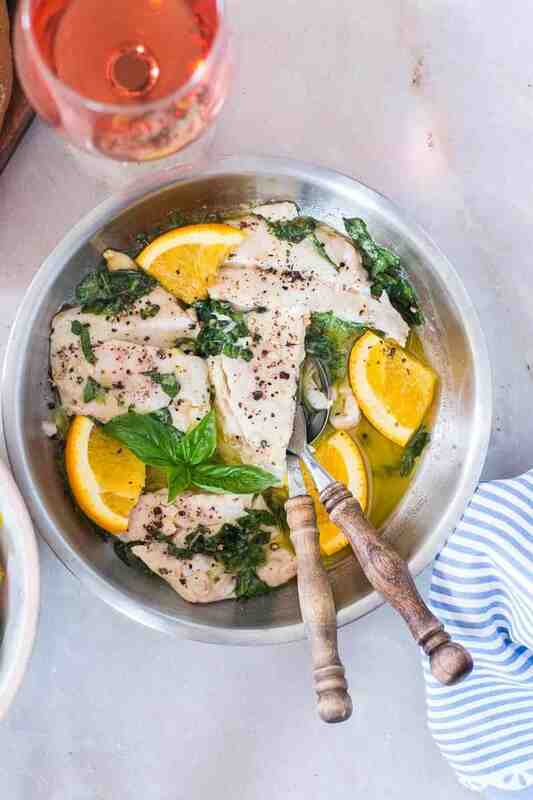 A simple 30 minute recipe, this bhetki fish in citrus basil butter sauce is just what romantic dinners are made of! In a wide bowl, add one and a half tablespoons Olive Oil, zest of one orange, juice of one orange and salt. Whisk together and add the fish fillets. Cover and set aside for 10 minutes while you prep your salad or any side dishes. Heat remaining olive oil in a non stick pan and gently add the fish. Cook the fish for 3-4 minutes on each side. Remove from the pan on a plate and set aside. In the same pan, add butter and garlic. Let the garlic cook on low heat for a minute or two to infuse the butter with it’s flavors. Add the juice of remaining oranges, honey and season with salt and pepper as required. Keep whisking the sauce as it heats up, till it starts thickening up slightly. Add basil leaves to the pan and mix well. Slide the cooked fish into the pan, switch off the flame and cover. Let the fish rest in the pan for 3-4 minutes. You will notice that the fish will soak up most of the sauce in the pan. Serve hot. Hey Anjali, I didn’t have to. I ordered the fish from brownapron.com I really love their meat and order regularly from there 🙂 I hope you try this out! My mouth is watering here! This is such a simple yet delicious dish!